It is hard to deal with the loss of any loved one no matter the circumstance. To see someone deteriorate and slip away at the hands of an illness is difficult to shake from your memory. As hard as it is to think past those last images it is important to remember how that person lived and not how they passed away. This was my final tribute to my father-in-law who passed away on October 13, 2014. You could walk into a room and not know my father-in-law was there if you didn’t see him…until he smiled. You could hear his smile; you could feel it fill the room. He joked about everything even in the hardest times. I remember one scare he gave us, I almost had to carry him out of the house and rush him to the hospital. When he finally got back home he was sitting on the couch across from me. He looked up with a smile and said, “Thank you, Rino… but this is not the last time.” … and he let out a big laugh. He really did have the Heart of a Lion. Superman! He was a little man, but he fought with the strength of 20. He never wanted anyone to be upset when he passed… Easier said than done… But the best thing for us to do is laugh at the memories we had with him. It is what he would have wanted. 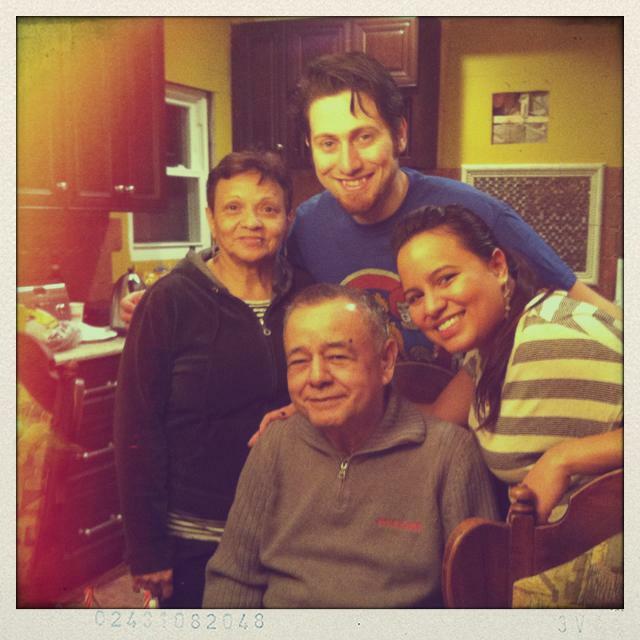 He passed away at lunch time, no doubt to go grab my grandmother’s lasagna that I asked her to make for him…. ready to sing and dance with the family. You could walk into a room and not know my father in law was there if you didn’t see him…until he smiled. I don’t see him right now, but I can hear his smile… And I feel it filling the air around us. This is so beautiful-he loved you so much and sure he smiled as you said those words. He will always watch over us because nothing would stop him from still putting us first even in the hardest times.